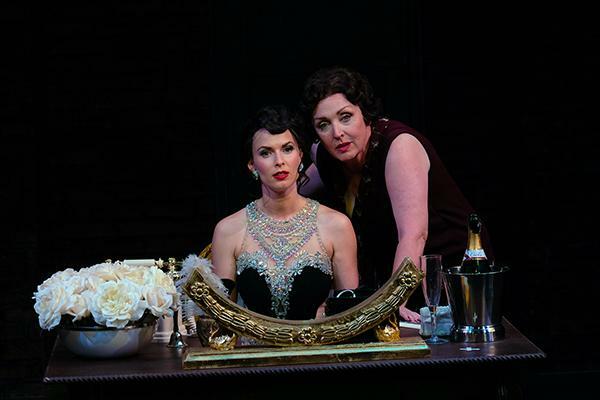 Many critics claim that “Gypsy, a Musical Fable,” the 1959 Broadway musical loosely based on Gypsy Rose Lee’s memoirs, is the perfect musical to emerge from the last half of the 20th century. It has a book by Arthur Laurents, lyrics by Stephen Sondheim, and music by Jule Styne. 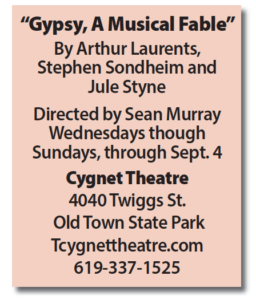 Readers may judge for themselves through Sept. 4 at Cygnet Theatre in Old Town as performed by a company of 25 and a band of six, including conductor/keyboard Terry O’Donnell. Several things are evident: “Gypsy” has an iconic role in Gypsy Rose Lee’s mother, Rose (originally played by Ethel Merman); it contains a poignant, unrequited love story; it has a dandy musical score that advances the plot; and it has one of the greatest 11th-hour songs ever written (“Rose’s Turn”). 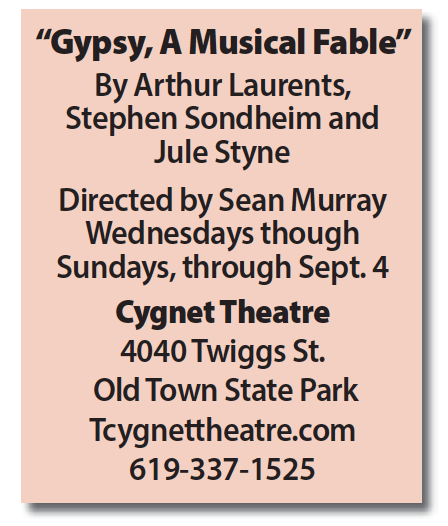 If women had them, “Gypsy” would be a ball-buster: It is exceptionally demanding vocally and decidedly iconic. 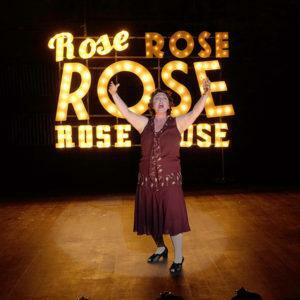 Rose is quite simply a lioness training, guiding and propelling her not-so-talented kittens, Baby June (Katie Whalley Banville) and Louise (Allison Spratt Pearce) into vaudeville. In real life, June became actor June Haver and Louise, the world-renowned stripper, Gypsy Rose Lee. Seeing a production played by anyone other than a splendid Rose is an excruciating experience, fraught with worry. 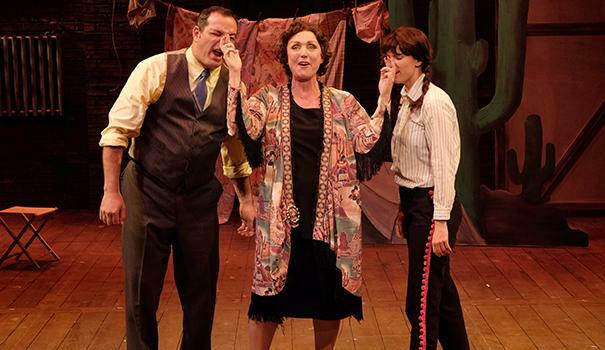 Linda Libby is a top performer in any production anywhere (she performed the role at ion theatre in 2011). The woman has the supreme acting chops, the vocal capacity, and, yes, the balls to bring it off in Murray’s meticulously cast production. One may worry about certain areas of potential vocal strain, especially amid a vigorous schedule such as Cygnet’s (seven performances each week), but there is never a doubt that experiencing Libby’s performance is mountaintop, and all one can do is sit, awestruck in the dark. Manny Fernandes is priceless as Herbie, the love-smitten manager of Rose’s vaudeville troupe. He sticks with her and the kids through their childhood, providing stability and common sense. 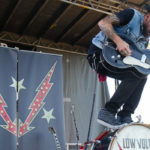 He stays long after his hopes of marrying Rose are dashed, throughout the prolonged death of vaudeville, and after the departure of June. Finally, once Herbie witnesses the appalling desperation of Rose’s hopes for Louise (Allison Spratt Pearce), he leaves. 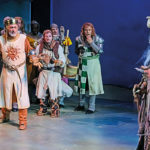 The kids, young and older, are buoyant and believable, with Danny Hansen outstanding in the adult role of Tulsa, the dancer who strikes out on his own and elopes with June. David Kirk Grant excels as all the fathers, uncles and impresarios, and finally as the jaded strip-show stage manager where the act finally breaks up and Louise/Gypsy makes the talent and personality transformation that allows her to become a singular star on her own. 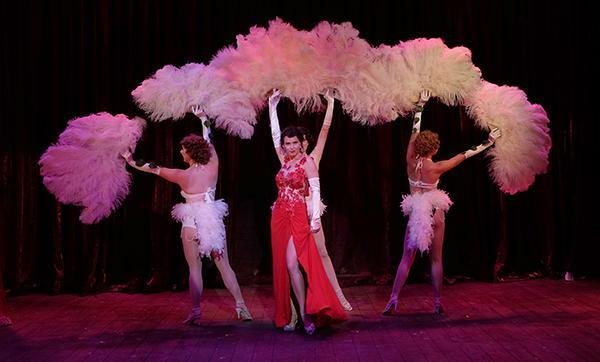 Sean Fanning creates a snazzy proscenium scenic design replete with footlights; David Brannen is choreographer; Jeanne Reith, costume designer; Peter Herman, wig and makeup designer; Chris Rynne, lighting designer; and Dylan Nielsen, sound designer. Other performers are Scotty Atienza, Emily Sade Bautista, Josh Bradford, Max Cadillac, Giovanni Cozic, Gabriella Dimmick, Sophia Dimmick, Hanz Enyeart, Matthew Garbacz, Hourie Klijian, Dallas Perry, Claire Scheper, Bailey Sonner, Lauren King Thompson, and Catalina Zelles. Libby made me sob, and I doubt I was the only one.